This week I’m going to cheat and actually get on the train and take the Underground from Dulwich back to where I first detoured off the Picadilly line. But first, where to catch the tube? At the Elephant & Castle, which has to be one of the most intriguing names for a London neighborhood that I’ll encounter as a virtual day-tripper. Not to be outdone by Piccadilly Circus which once upon a time conjured up red & blue striped big top tents and circus clowns before I learned this kind of ‘circus’ had nothing to do with bearded ladies and everything to do with very busy intersections at roundabouts. 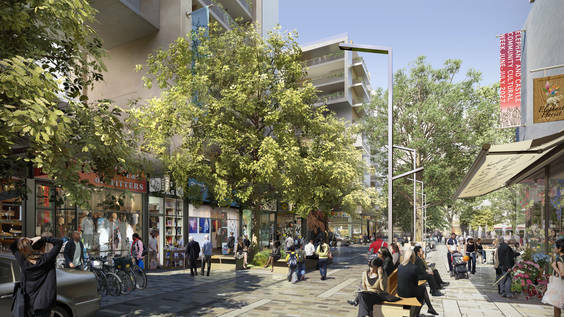 1) The Elephant & Castle is actually an area in south London technically called Newington. 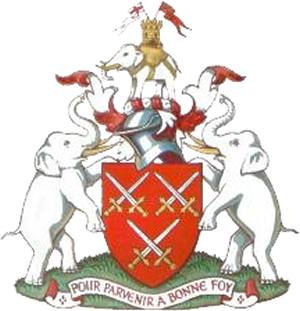 2) The Elephant & Castle name likely came from an inn that catered to the “Guild of Cutlers” working in The Worshipful Company of Cutlers—the makers of knives, razors, scissors, etc whose crest is an elephant and castle—in existence since the 13th century, and located just across London Bridge in Cheapside. That’s their coat of arms above. 3) Locals call the Elephant & Castle, the Elephant. 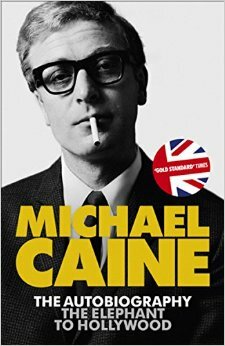 4) Michael Caine called the Elephant home. In his 2010 memoir “Elephant to Hollywood” Caine talked about growing up in the poverty stricken neighborhood where he joined neighborhood gangs for self-preservation. 5) Charlie Chaplin lived there too! The Elephant boasts a Cinema Museum, located in the workhouse where poor Charlie Chaplin spent some time in his youth. 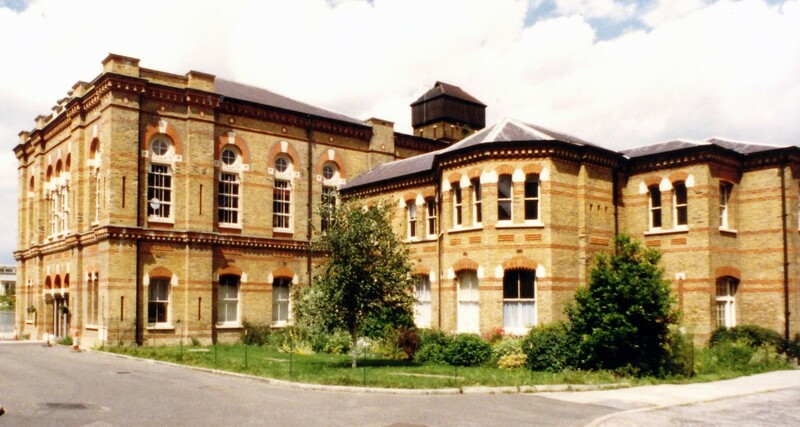 The old Victorian building was converted in 1986 and is open to the public. Note the Cinema Museum is more of a celebration of movie houses vs the movies so expect examples of vintage usher’s uniforms, lobby cards, theatre seats, ancient projectors and the like. Call ahead for entry as you need a volunteer guide to take you through. 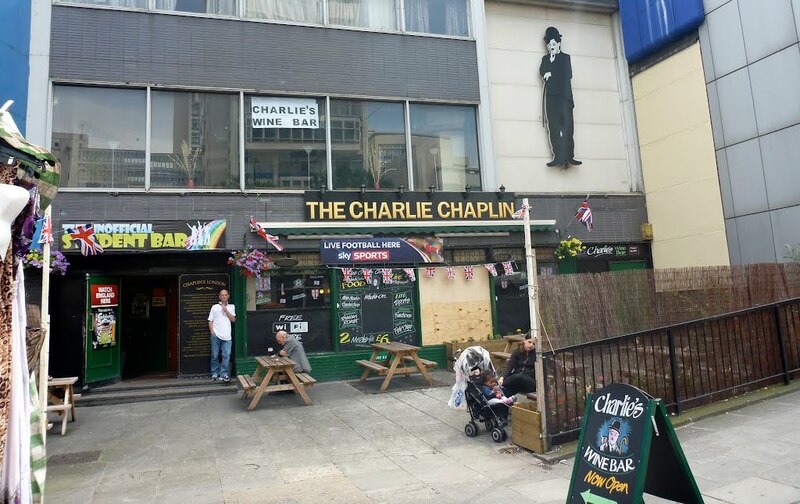 6) The Elephant & Castle even has a Charlie Chaplin Bar named after the silent screen star. The Charlie Chaplin Bar boasted a visit from Michael Caine on their Facebook page as recently as this past November, 2015, but let’s face it, despite Caine’s visit and Chaplins’ visage on the outer wall, the Charlie Chaplin ain’t much to look at. Still, I bet they do a decent Shandy. Dodgy ‘hood or not, the benefit of a ‘virtual’ walk puts safety on my side. I’d double check before I ventured into the area, especially at night. 7) A very early reference to the Elephant can be found in Shakespeare’s comedy, Twelfth Night, written around 1601. In the play, Antonio tells Sebastian that a good place to lodge for the night is “in the south suburbs, at the Elephant.” While Twelth Night doesn’t take place in London, the idea is that Shakespeare often used local place names, both as inside jokes, and quite possibly as early instances of ‘product placement advertising’. 8) In the center of the actual roundabout aka ‘circus’ is the Faraday Memorial, in honor of the important Victorian scientist, Michael Faraday, a local boy who came up with theories of electromagnetism and electrochemistry. I have a blind science side but reading that Albert Einstein had a portrait of Faraday on his wall tells even a scientific simpleton like me that Faraday was a pretty big deal. 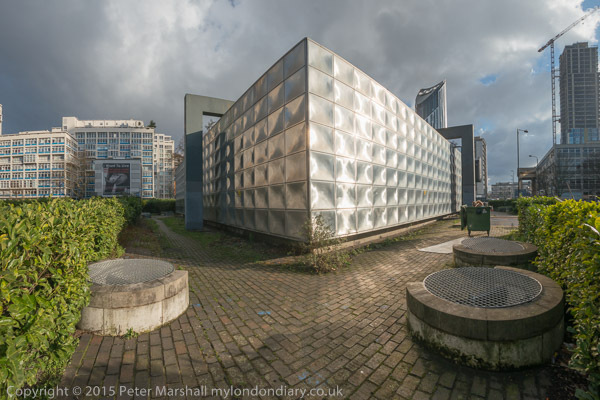 The shimmering stainless steel box structure was designed by the British architect Rodney Gordon and built in the Brutalist style in 1961. Inside is an electrical substation for the Northern & Bakerloo lines. Fitting, yes? 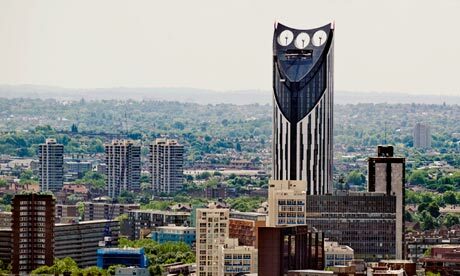 10) The Elephant & Castle’s Strata Tower. Built in 2010, and according to the Guardian, voted London’s ugliest building by a building trade organization, the dystopian looking 42 story tower located at 8 Walworth Road is one of the tallest residential buildings in the city, with the three odd looking bits at the top being turbines which are supposed to provide about 8% of the building’s electrical needs. Most critics site it as being something out of a bad science fiction movie, for the 1000 residents who live there, it’s home. And that brings me to the Elephant & Castle station and with 4.2 miles entered into my Fitbit, I am done for the day. I had a good walk full of unexpected discoveries. Hope your #Fitbit walks take you interesting places too. 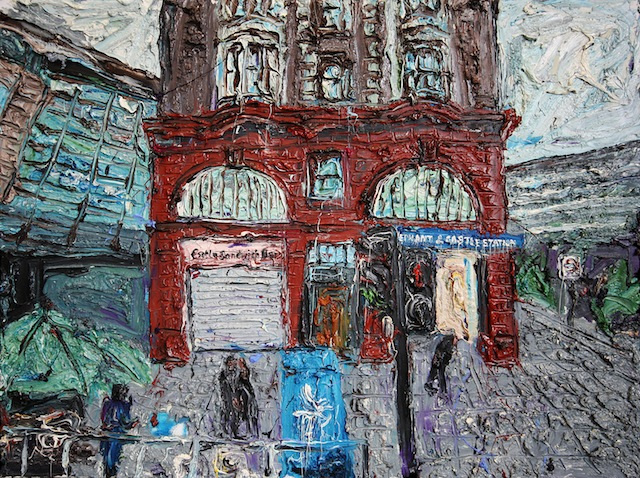 Ross Ashmore The artist has painted all of London’s Underground Stations; we’ll be seeing more of his work along the way. The Cinema Museum sounds fun! We went to the oldest working cinema in the UK during our trip. It's in Birmingham and called "The Electric." Because electricity was really cool in 1909. My husband is a Faraday fan -- I didn't know we could visit a memorial in London! He'd like that modern architecture, too. 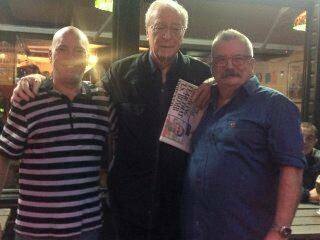 I would be so happy if I ran into Michael Caine, he has always been one of my favorite actors. Such a distinctive voice. I like your walking tour today, so many cool sites and I would like the Cinema Museum too. Great painting at the beginning of your post! So would I; he’s one of my favorites. That artist is cool, isn’t he. Did you visit his site, he’s done all the stations!